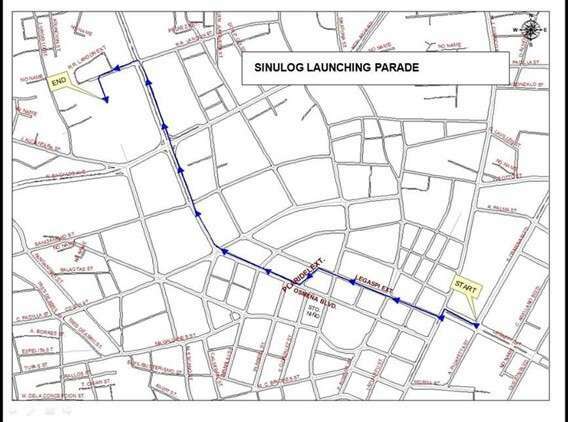 MOTORISTS are reminded of road closures in Cebu City to give way to the launching ceremonies of the Fiesta Señor and Sinulog Festival on January 10 (Thursday) and 11 (Friday). 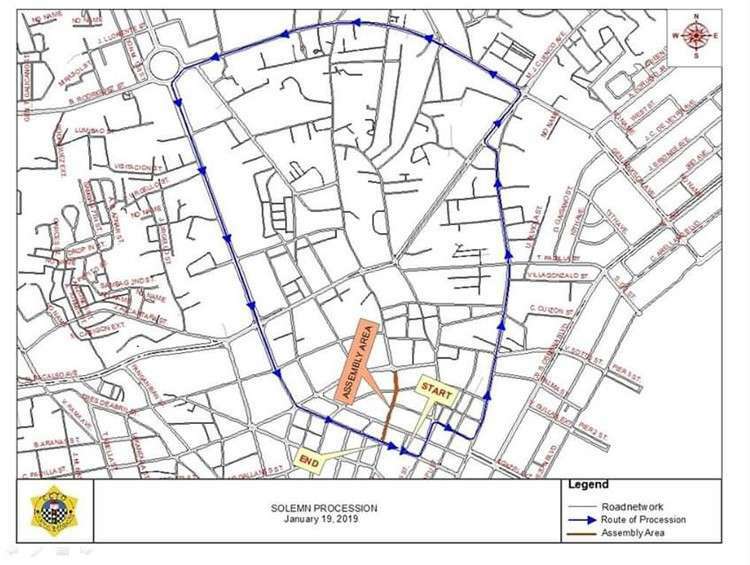 On Thursday, the Cebu City Transportation Office (CCTO) will close a portion of Osmeña Blvd. for the Walk with Jesus, which will start at 4 a.m. The Penitential Walk will start from the Fuente Osmeña Circle going to the Basilica Minore del Sto. Niño. The affected area will re-open as soon as the procession passes through. 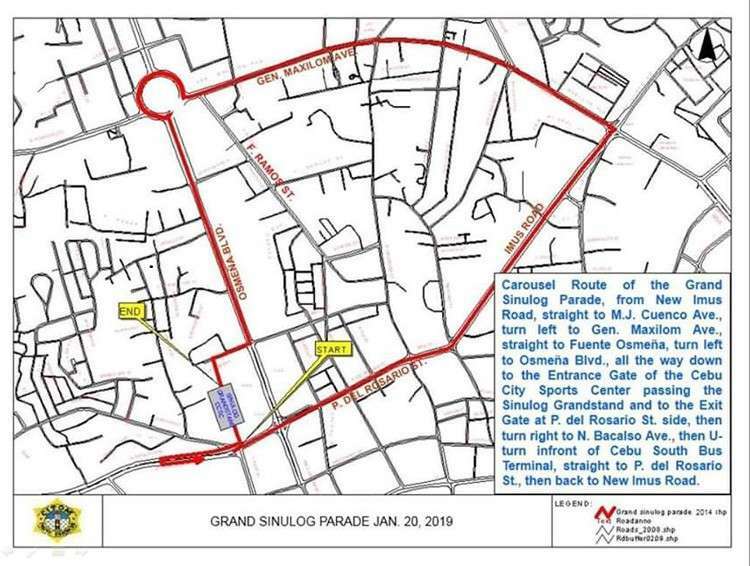 At 1 p.m. the following day, vehicular traffic will be re-routed temporarily on the streets surrounding Plaza Independencia for the Sinulog launching parade. 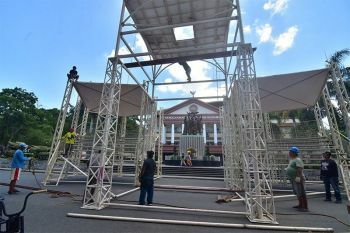 From the Plaza, participants of the parade will proceed to Legaspi St., then turn left to Plaridel Extn., turn right turn to Osmeña Blvd., and then turn left to RR Landon St., before proceeding to Cebu City Sports Complex for the opening salvo. CCTO operations chief Francisco Ouano said the affected roads will be closed from 1 p.m. until the activity ends around 4 p.m.
Public Utility Jeepneys (PUJ) coming from the Cebu Provincial Capitol area and Lahug passing Osmeña Blvd. to Fuente Osmeña Circle, will turn right to B. Rodriguez St., left turn to V. Rama Ave., proceed to V. Rama Extn., then to their destination. Those coming from Carbon area, on the other hand, shall turn left to F. Gonzales St., left turn to Magallanes St., right turn to Borromeo St., left turn to Sanciangko St., right turn to Panganiban St., left turn to N. Bacalso Ave., right turn to V. Rama Ave., then to their point of origin. Meanwhile, PUJs coming from Banawa and Guadalupe shall head to V. Rama Ave., to V. Rama Extn., right turn to Tres de Abril St., left turn to Carlock St., left turn to Tupas St., straight to Magallanes St., to Carbon area. 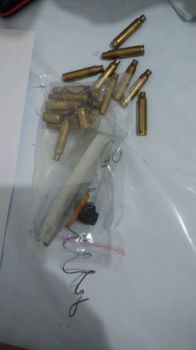 Those coming from Carbon area passing along M.C. 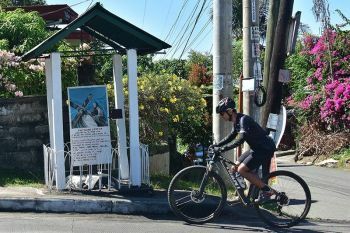 Briones St., will have to turn left to D. Jakosalem St., left turn to Magallanes St., right turn to Borromeo St., left turn to Sanciangko St., right turn to Panganiban St., left turn to N. Bacalso Ave., right turn to V. Rama Ave., then to their point of origin. 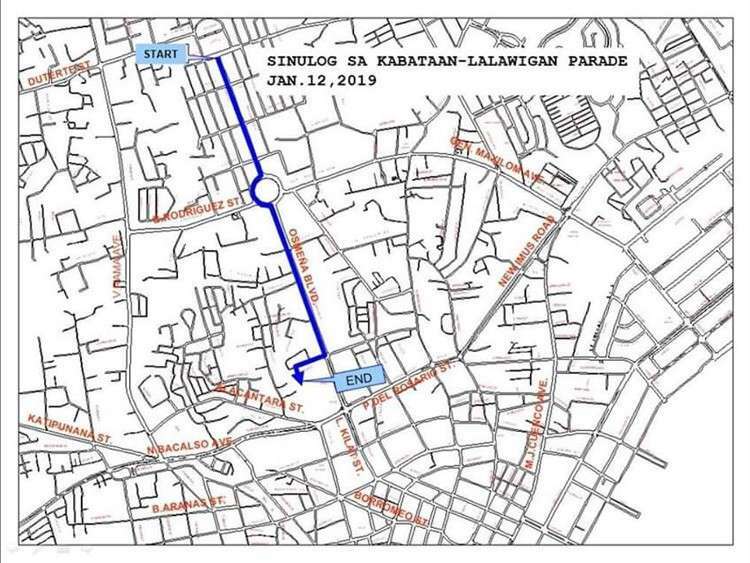 Passenger jeeps coming from Talamban passing Junquera St. and F. Ramos St., shall turn left to Colon St., straight to Mabini St., right turn to V. Gullas St., right turn to D. Jakosalem St., to their usual route, then to their point of origin. 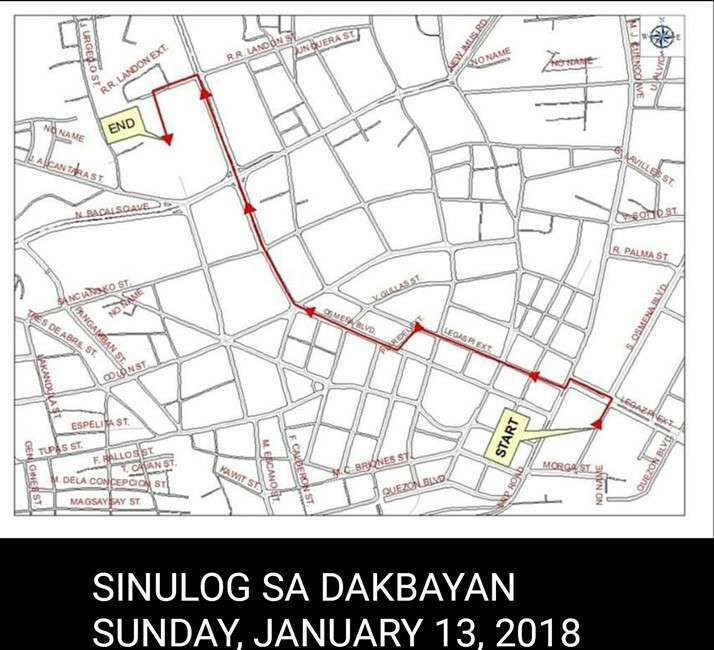 While PUJs plying the Talamban route passing Sikatuna St., shall turn right to Colon St., right turn to D. Jakosalem St., then to their point of origin. Northbound vehicles passing P. del Rosario St., shall turn right to V. Rama Extn., left turn to Tres de Abril St., left turn to C. Padilla St., right turn to Panganiban St., left turn to Magallanes St., left turn to Borromeo St., to their usual route, then back to their point of origin. Meanwhile, vehicles coming from the soutj passing Colon St., shall turn right to Leon Kilat St., right turn to Magallanes St., then back to their point of origin. PUJs coming from Mandaue City passing V. Gullas St., on the other hand, shall turn left to. P. Burgos left turn to Jereza St., left turn to MJ Cuenco Ave., to their usual route, then to their point of origin. 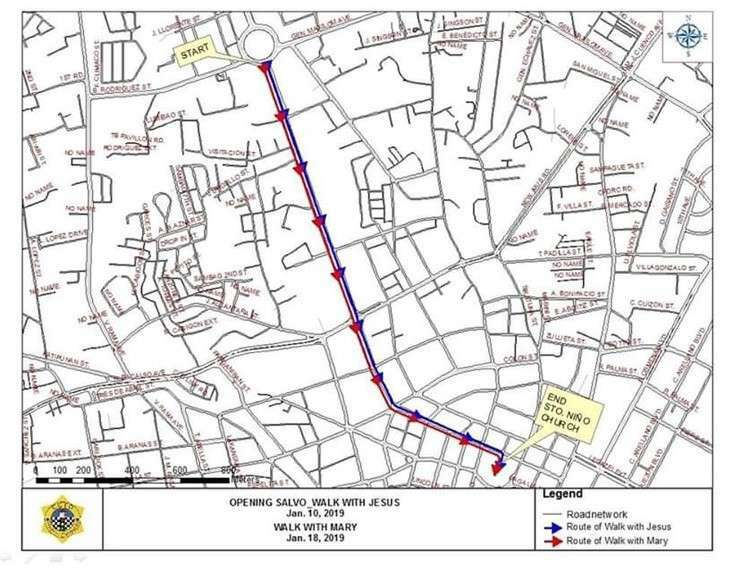 All motor vehicles are advised to follow the existing re-routing plan implemented due to the ongoing construction of an underpass at the junction of N. Bacalso Ave. and F. Llamas St.